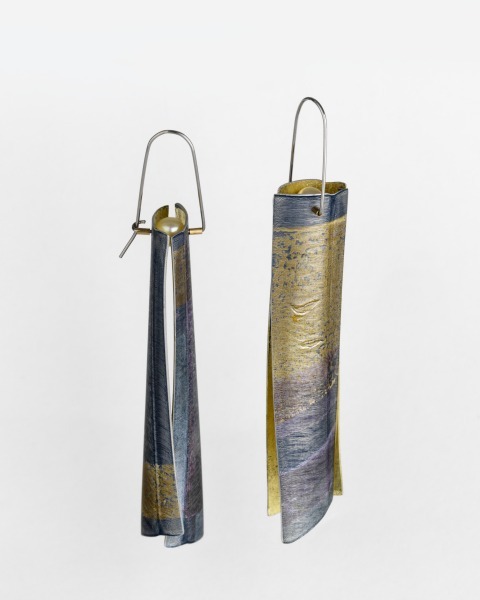 Pair of rectangular shaped earrings, made of sheets of pale coloured patterned aluminium with gold on inside of sheet, and cream coloured pearl. Anodised aluminium sheet, blockprinted and dyed, then milled to stretch and craze it. Fabricated; applied 18 ct green gold leaf and dyed freshwater pearls and silver wire. 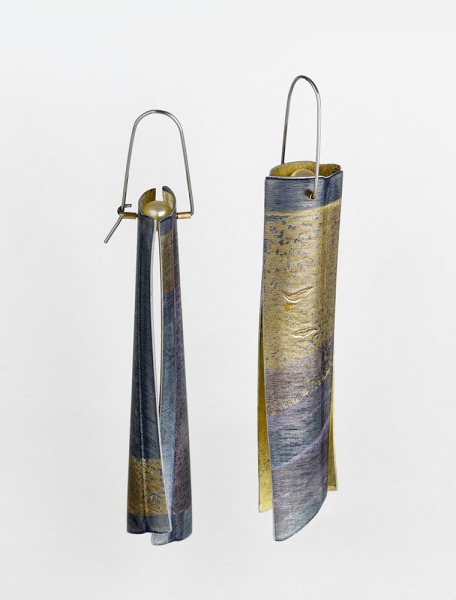 Wide razor shell earrings in grey and violet, Jane Adam, 1999, Crafts Council Collection: J274. Photo: Todd-White Art Photography.